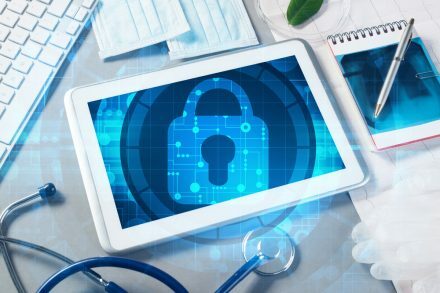 As entities in the healthcare industry introduce more efficiency with mobile access and IoT technology, the potential security risks intensify. Patients, employees, and insurers benefit from the IT evolution. However, the loss of confidentiality or integrity during communication or the possibility of a data breach present serious threats to sensitive information. In order to combat heightened security risks, organizations must embrace the most effective methods for securing information. A recent cybersecurity forum organized by HIMSS (Healthcare Information and Management Systems Society), CHIME (College of Healthcare Information Management Executives), and AEHIS (Association for Executives in Healthcare Security) examined modern attacks and how to prevent them. The forum stressed the importance of clear visibility. Organizations must recognize which systems depend on internet access and have a number of continuity plans ready in order to limit the impact of an attack. Contingency plans based on specific needs are also an effective strategy against natural disasters or similar interruptions and vulnerabilities. When building proactive methods to address security risks, healthcare organizations should focus on education and comprehensive data security. Initial employee training on current policies and what to do in the event of an incident. Regular security risk training that updates employees about current threats. The United States Computer Emergency Readiness Team offers a list of current threats and their descriptions. Open communication regarding potential problems. Employees should have an easy, direct method for reporting any suspicious activity observed. Keeping users up-to-date on the problems caused by security risks is one of the best ways to prevent them. In addition to employee education, healthcare organizations must deploy stringent data security plans that include the tools and measures needed to adequately protect sensitive information. This is particularly important concerning BYOD (bring your own device) and corporate-issued mobile devices. An MDMS (mobile device management system) that manages and secures each device on the plan is a good beginning, but incident response plans must also be developed that test vulnerabilities in a number of possible intrusion scenarios. Protecting sensitive data in today’s connected environment means that healthcare organizations must create and support proactive solutions. Staying one step ahead of attackers prevents the legal and regulatory actions, fines, and loss of confidence brought on by a data breach.